Trees Bodywork's Studio is the best massage experience in Bedford!! Our #1 goal is to make sure our clients are happy! We are excited to welcome you into our community and share with you our Trees experience. When you call Trees or visit our studio, we want you to feel like you're our most important person. Trees Bodyworks Massage Studio incorporates a foot cleansing ritual and essential oil treatment to induce deep relaxation. Each massage uses a technique we call touch with intent; combining science and art, that focuses on the relationship between caring and healing. Each style of massage assures tension release, circulation enhancement and overall wellness. This massage is designed to spend ample time relieving body tension; using the same techniques as our 85 minute custom massage. More time with our client, allows us to work more extensively on areas of tension or pain relief.. The primary goal for a deep tissue massage is to restore a balanced upright posture, decrease symptoms of Chronic pain, break down scar tissue/ Muscle adhesions and improve range of motion. Deep tissue is an a aggressive technique to focus on specific problem areas. This treatment eases lower back discomfort, water retention, improves circulation and helps speed up healing process; leaving the mother feeling relaxed and pampered. 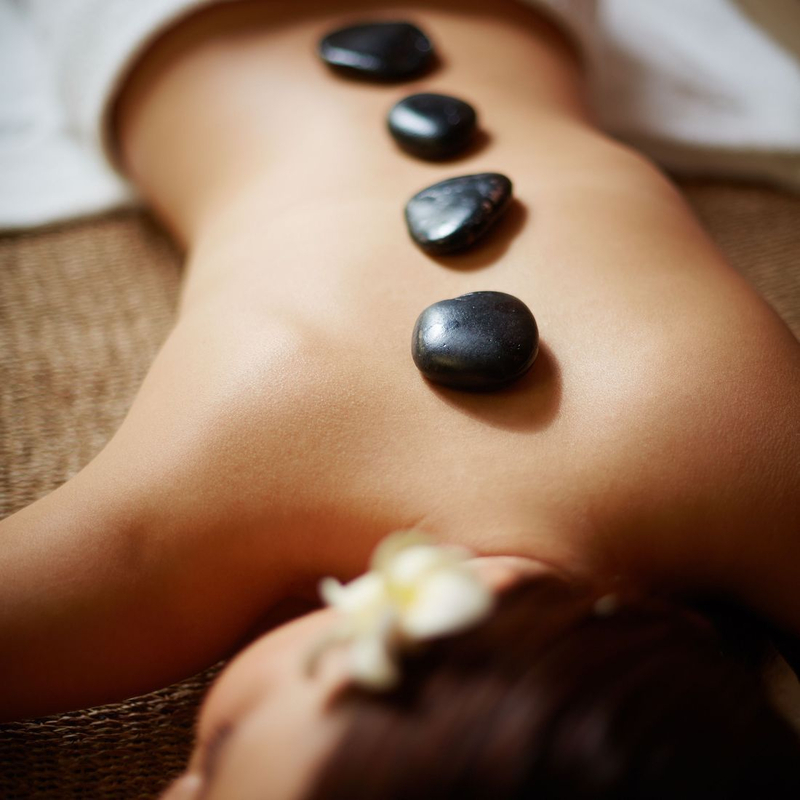 A full body massage, encompassing warm stones with light to moderate pressure. Experience this time honored practice which brings deep, restorative rest. Our massage therapist gently glides smooth stones over the body, providing warmth that soothes mind and muscles, increases circulation, improves tone and induces tranquility and serenity. Ease stress with this focused tension-releasing massage. A therapeutic blend of essential oils are applied to remove lactic acid and eliminate chronic deep “knots.” Knead and release techniques are used to relax the muscles and increase circulation. Arise, relaxed and invigorated. Cupping massage is a modified version of cupping therapy, as used in traditional Chinese medicine. Suction cups are placed on the muscles, allowing for a massage through negative pressure. This simple treatment releases tension in soft and deeper tissues and drains excessive fluid and toxins. It can also loosen adhesions and bring blood flow to stagnant skin and muscles. Relief will last for several days to a week. This exquisite service includes aromatherapy oils and full body aromatherapy massage. This massage exfoliates, relaxes the body and rejuvenates the senses. Essential oils are used to massage the lymphatic parts, eliminate edema, promote lymphatic blood circulation and help recover the body from harmful toxins. Reiki is an ancient, holistic healing method and allows for an even deeper state of relaxation.The Reiki practitioner facilitates the flow of healing Reiki energy to the client through gentle touch. Reiki is found to have a calming effect on the body and the emotions. Reiki massage is a powerful spiritual experience. Lauren S. did an excellent job. She asked about any special areas that might need attention. She used aroma therapy and hot stones. It was wonderful.